In celebration of World Ranger Day on 31 July, Amakhala Game Reserve extend their heartfelt appreciation and thanks to all Rangers and Field Guides for their hard work, passion and dedication. Amakhala Game Reserve believes that being a Ranger and Field Guide is not just a job, it is a pivotal role in protecting our wildlife and natural heritage, and an opportunity to be an ambassador for our region and its conservation. For this reason, Amakhala invests in the training of Rangers and Field Guides as part of their strong commitment to conservation and tourism. To maintain high standards in guiding practices, training is provided under the supervision of multi-faceted and accredited training providers. Each year Amakhala sponsors four candidates from the local community to attend a Field Guide training programme run by Ulovane Environmental Training, an accredited training and assessment provider in the Eastern Cape, which upskills local community members through a bursary program to improve conservation. The bursary covers all tuition, excursion costs, manuals, workbooks, examinations, assessment and moderation fees, the registration costs for Field Guide Association of Southern Africa (FGASA) and full board and lodging at Ulovane Campus. Field Guides are an important asset to the reserve and the industry on a whole. Their knowledge and passion create awareness and instil a deep appreciation of nature and conservation among tourists, ensuring they return more often and tell many others. More than a rewarding experience for the recipients, the bursary opens opportunities for improving their employment prospects and making a career, whether at Amakhala or at another reserve, contributing to job creation and a more prosperous community. Odwa Mzwali, a field guide and a recipient of an Ulovane Environmental Training Bursary, shares his story and a personal message to aspiring Field Guides this World Ranger Day. 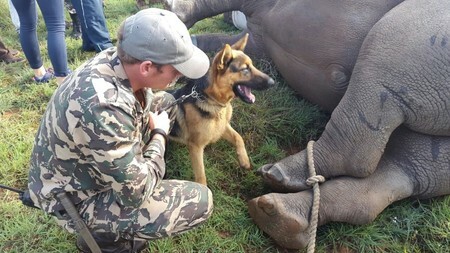 Commemorates and pays tribute to rangers who lost their lives in the line of duty, protecting endangered species targeted by poachers for the illegal wildlife trade. To all the rangers – and future rangers - around the globe this World Ranger Day, these are messages just for you! ‘’Respect and appreciation goes out to our Planet Soldiers. You are the lifeline and protectors of the wilderness areas that feed us all with clean air and water, without you we will all suffocate and drown in the greed of humanity. Keep up the fight, it is worth the effort, we only have one planet that we call Earth.